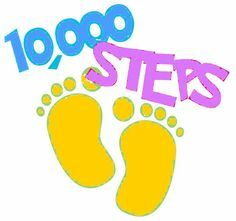 Here at 10KStepsDaily.com we have been really busy learning the ins and outs of Vlogging and producing product reviews. We wanted the ability to showcase products and fitness related topics using video. Beyond that we have started an online coaching program that will feature video workouts. While researching video production and vlogging, I came across Casey Neistat. For those that don’t know Casey is a Vlogging superstar on Youtube. He has over 2 million followers and seems to be one of the best videographers I have come across. Gear doesn’t matter. Only the story matters. While one of his mottos is “Gear doesn’t matter. Only the story matters.”, you have to agree that he has learned over the years what equipment can really get the job done and make you look good at the same time. Before you go on and read, you need to watch these two videos. Every day Casey is tweaking his craft with the latest technological changes and occasionally falling back on older more reliable methods. Still Casey does have a point that if you don’t have a good story to tell and one that is compelling, your audience might dry up and go away or simply not even show up in the first place. So yeah, a good story will trump equipment almost every time, but good equipment can make a story even more engaging. So for those of you wanting to really improve your videos, you might want to consider the following Neistat tested Casey approved video gear. For those that are Nikon or Sony or Pentax or … fanatics you might want to stop reading, we will mostly be talking Canon stuff here. Although, maybe you can comment below and give people advice on a similar setup using those manufacturer’s equipment. It used to be the video camcorder was for shooting video and the camera was for shooting images. 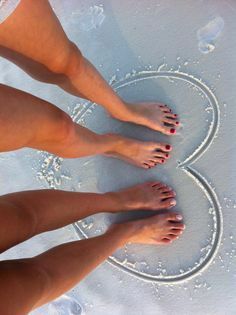 Today however many cameras can operate equally as well as both a video and picture taking device. While Canon just released the Canon 80D (Sound like Attention Deficit Disorder), some feel (Casey Nesdit included) that the Canon 70D is more reliable and less finicky. As a bonus a refurbished Canon 70D is about half the price. Now for those wanting a full frame DSLR the Canon EOS 5D Mark III is pretty spectacular. While you certainly can’t go wrong with any of the above cameras, those on a budget will find the Canon 70D produces great video and is the least expensive. What makes the 70D and above stand out is specifically the Canon’s Dual Pixel CMOS AF (Auto Focus) that allow the camera to track and focus quickly to your face while recording. Note: Casey used the 80D and found it to be not as reliable as the 70D. He also mentions using the 5D, but just hasn’t used it much. In the world of lenses WIDE appears to be king. Casey’s top choices are the Canon EF-S 10-18mm f/4.5-5.6 IS STM and the EF-S 10-22mm f/3.5-4.5 USM. Other alternatives to these include the Sigma 10-20mm f/3.5 EX DC HSM, Tamron – SP 10-24mm f/3.5-4.5 and the Tokina 11-16 f/2.8 II. These lens options will not work with other cameras such as a Sony or Nikon. For the money the Canon EF-S 10-18mm is an awesome value and is smallest and lightest of the wide angle lens choices. It comes in at 1/2 the price of the Canon EF-S 10-22mm and the quality is roughly the same. Right now Casey’s goto lens is the Canon EF-S 10-18mm f/4.5-5.6 IS STM. It’s light, it’s inexpensive and it’s technology called a Stepping Motor (STM), allows the lens focus smoothly and silently when capturing video. Sometimes paying more doesn’t always equal better equipment. Playing around with both lenses, I find the Canon EF-S 10-22mm to be the better built lens. The 10-18mm has more plastic including the mounting ring. You will need 2 different filter sizes if you buy both lenses. The 10-22mm takes a 77mm filter and the 10-18mm takes a 67mm filters. The 10-22 has internal zooming and the 10-18mm has barrel zooming. STM better suited to AF in live view and video. The 10-22 has a better overall build, but the 10-18 is no slouch and a better bang-for-the-buck. Almost all the comparisons I have seen thus far the 10-18 performs just as well as the 10-22. While a story is King, sound can sometimes ruin it, be it the background noise or simply not picking up as it should. Casey likes to use two types of Shotgun microphones by Rode. The advantage of using a shotgun means much of the background noise coming from the side and back will be greatly reduced. You can think of a shotgun mic as a hyper-directional microphone that picks up most of the sound originating in the front. While both microphones are good, the Videomic pro in many comparisons evaluations I have seen is better at capturing sound. The disadvantage of the Videomic pro is it uses a 9 volt battery and has to be turned on to work. There have been several occasions where I started shooting only to realize the Rode Videomic Pro wasn’t turned on. The Videomic Go on the other hand is designed to be ready any time the record button is press without the need to turn it on. Other microphones to check out include the Shure VP83 LensHopper Camera-Mounted Condenser Microphone and the Sennheiser MKE400. One of the more innovative ideas Casey Nistat is known for is using the JOBY GorillaPod Focus and Ballhead X. 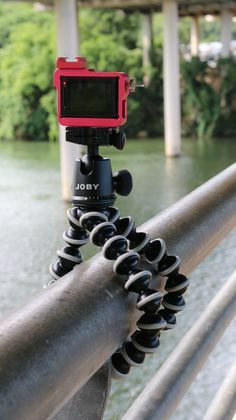 The JOBY GorillaPod transforms a traditional tripod into a arm grabbing device that you can position in really wacky ways, like hanging from a tree or pole or just about anywhere the GorillaPod legs can wrap around. 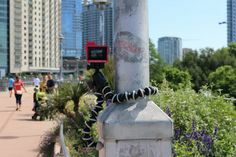 Here is a shot of our GorillaPod SLR-Zoom wrapped around a bridge railing. For those without the means or budget for the higher priced DSLRs, another option is to go the compact point and shoot route. Casey is a big fan of the Canon G7X line. Canon just released the Canon G7X II and so far the reviews have been really promising. What makes the G7X II a little nicer than the earlier model is the fact that the II can produce video time lapse in camera. A really useful addition for vloggers looking to spice up their videos. Other cameras Casey suggest looking at are the Canon S120 (a less expensive model) and the Sony RX100 IV. The Sony RX100 IV seems to be a really great point and shoot. It’s a mirrorless camera with a 1 inch sensor. It has a flip up screen like the Canon S120 and seems to a much better overall camera. Casey has utilized GoPros throughout his Youtube vlogs and the Hero 4 line is pretty stellar. What is neat about the Hero 4 Silver is it takes time lapse video and has a rear LCD screen to help navigate the menu. The much smaller HERO4 Session is completely waterproof and is really useful for anything around water. The Hero 4 Black is also useful for those who wish to capture 4K video. Between the GoPro Silver and the Black, your best option IMO is the Silver. It has the LCD screen, it cost less and can do just about as much as the Black. From the reviews I have seen the Session’s video is not on par with the Hero 4 Silver or Black, so if you can only choose 1, go with the Silver. Here is a quick Time Lapse we shot while Kathleen was doing Pilates. Over last few years one company name has continually been mentioned and that name is DJI. For those that don’t know DJI seems to be the top consumer drone manufacturer and Casey loves these things. Drone footage can make an average video become stellar depending on who is flying it and what is being captured. Casey has a habit of losing, breaking and destroying drones, but lucky for him, he seems to get replacements for free. The top dog right now seems to be the DJI Phantom 4. One of cool features it employs is an Obstacle Sensing System that utilizes two forward-facing optical sensors that scan for obstacles and automatically direct the aircraft around the impediment when possible, reducing risk of collision, while ensuring flight direction remains constant. If the system determines the craft cannot go around the obstacle, it will slow to a stop and hover until the user redirects it. Obstacle avoidance also engages if the user triggers the drone’s “Return to Home” function to reduce the risk of collision when automatically flying back to its take off. Drone technology is getting so good that with minimal training you can be up and flying and shooting incredible video. Skateboard – Surfs Up On The Streets. Casey loves his boards and recently battery operated skate board technology has become a reality. Boosted Boards are one of his favorite modes of transportation. He loves to video while riding to make the ordinary, extraordinary. In doing quite a bit of research on electric skateboards, I discovered the boosted board isn’t the top dog. There is a company out of Australia called Evolve Skateboards. They have a carbon skateboard that has upended the Boosted Board in just about every category. It’s faster (22 -26mph), can go up steeper inclines (25%), has a more sophisticated remote including a LCD, giving you stats like (Speed, Distance, Battery Level and Mode selected) and the best part is it can go up to 31 miles, almost tripling Boosted Boards 2nd generation boards 12 mile distance. The big question I have is how do the two boards compare ride wise. Since the GT Carbon is CARBON does it ride as good as the Boosted Board’s wooden deck.